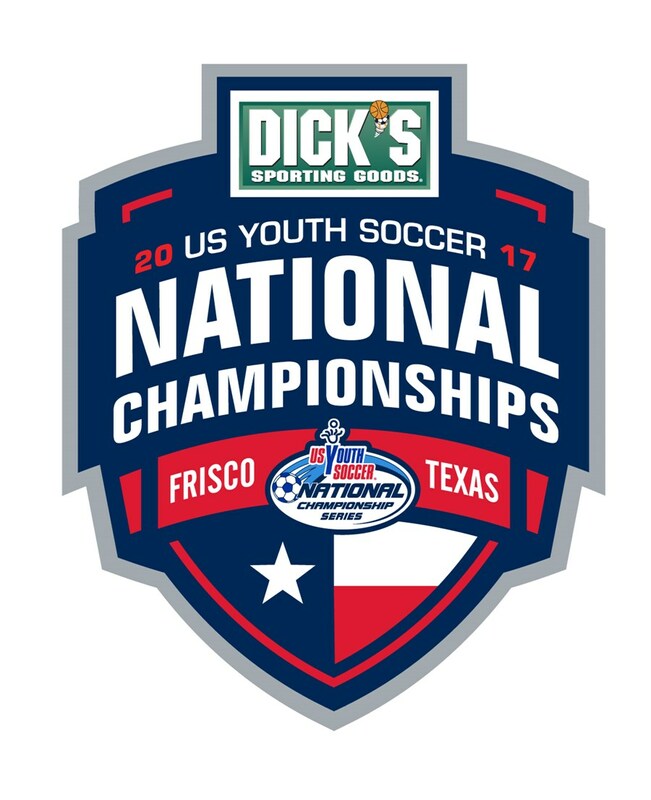 FRISCO, Texas (July 29, 2017) — Four of the 14 champions were crowned Saturday night at the 2017 US Youth Soccer National Championships at the Toyota Soccer Center in Frisco, Texas. On Sunday, the 15U through 19/20U Boys and Girls Championship matches will take place at the Toyota Soccer Center, with games scheduled to kick off from 7 a.m. to 10:30 a.m.
San Diego Surf (CA-S) defeated SDFC Yellow (NJ) 3-1 to claim the 13U Girls US Youth Soccer National Championship title. SDFC put up a great fight after falling to San Diego Surf in the group play round, 8-0. In the 13th minute of play, Acacia Edwards found the back of the net for the San Diego Surf. However, SDFC’s Angela Nicol answered in the 21st minute when the ball was batted around in the box and she struck it past the goalie. The remainder of the first half was scoreless, but 13 minutes into the second half, San Diego Surf’s Alexandra Mohr scored off a beautifully placed corner kick from her teammate, Ella Giannola. To seal the deal for the Surf, Chloe Green scored the final goal, her seventh of the tournament, making the side National Champions. Head Coach Pauly Dolinsky was overjoyed with his team’s performance and the hard work the squad has put in over the last several months. Being a National Champion, the best team in the country, was something Dolinsky struggled to find words for. "They prepared better than everybody. 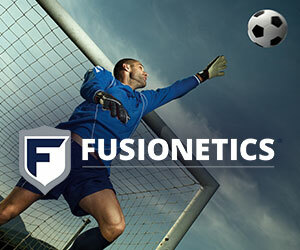 Our team trained four days a week, we played teams older than us and we played boys," Dolinsky said. "Every challenge we thought of to throw at them, they responded. It feels surreal to be a National Champion. Being with these girls for the last 16 months and having it all conclude like this is indescribable." LVPSA 03 Red (NV) claimed the 14U Girls National Championship title with a 2-0 victory over Nationals Union 03 Black (MI). Nationals Union took control of the game in the beginning with some early chances and crosses in dangerous areas, but LVPSA soon began to maintain a rhythm and take shots of its own. The Nevada side gained the lead in the 30th minute as Olivia Garcia picked up the ball at midfield, took on two defenders and placed the ball into the bottom right corner. LVPSA came out of halftime, ready to put another goal in, and it did just that as Jacqueline Hillegass curled a corner kick to the back post for Samantha Nieves to tap into the net. Nationals Union had a promising opportunity when Madeline Kohler followed up a shot at the back post, but it did not pass LVPSA’s goalkeeper. In the end, LVPSA strongly held onto the lead and took home the National crown. In a tightly contested 13U Boys final, St. Louis Scott Gallagher Pre Academy 04 (MO) used an early second-half goal to win, 1-0, over Heat FC 04 ET (NV) and claim the National Championship. The Missouri side generated sustained pressure in the attacking half for much of the first half and threatened the Heat FC goal often. The best chance came in just the sixth minute, when Giuseppe Gereau rose up on a corner kick and hit powerful header that forced Heat keeper Zavian Makhathini to push the ball wide. Owen Hardy used a great individual effort in the 38th minute to put St. Louis in front. Hardy pressured the Heat defense and won the ball on the edge of the box. He then cut inside another defender and slid his shot just inside the near post to put the Missouri side in front, 1-0. A couple of Heat breakaways later in the second half forced St. Louis keeper William Rieves, the Golden Glove recipient, to make a couple of important saves to preserve the lead. That proved to be enough, as St. Louis held on for the shutout victory to claim the National title. USA/MP 2003 Premier (SC) defeated Beadling 2003 (PA-W), 2-1, to claim the 2017 14U Boys US Youth Soccer National Championship. In a wide open first half, both teams had possession but couldn’t find the opening goal. Beadling had two chances from close range early, but both were from tough angles and snuffed out by the USA/MP keeper. USA/MP’s best chance in the first half hit the crossbar, and with no one close range to finish the rebound, the Beadling keeper held on to stop the chance. USA/MP finally broke the deadlock when Cooper Van Beyrer hit a ball from deep that shook the cross bar but bounced out. Van Beyrer's teammate, Lance Friedrich, was there for the rebound and finished from up-close to earn the 1-0 advantage. USA/MP played the aggressors in the second half, and had another great chance as Jake Zins weaved through the Beadling defense but hit his shot just wide right. USA/MP increased its advantage in the 50th minute when Ted Van Thullenar received the ball in the center of the box, spun his defender, and then placed his shot to the right of the keeper. Beadling pressed, now needing two goals to equalize and cut the deficit in half in the 71st minute. Anthony DiFalco brought down a long ball that floated over the defense, cut by the last defender and then slotted his shot by the keeper. Beadling kept pressing but couldn’t find the equalizer and USA/MP sealed the 2-1 victory to become the 14U Boys National Champions.